Hip Hop Architecture Camp is taking place this summer. An idea expressed by Michael Ford is that hip hop music often expressed ideas about place – specifically urban spaces that were in terrible condition, underfunded and poorly designed. Ford says that “Hip Hop Architecture” can offer a viewpoint for seeing the junction between culture and the built environment. By engaging kids through music and familiar hip hop “materials”, kids will be drawn to explore and experiment in design and other S.T.E.A.M. areas as they move forward in their education paths. There are very few registered architects who are African American. The way to increase these numbers of practicing architects in the field is to get kids to learn about these careers and to catalyze them to be the change. 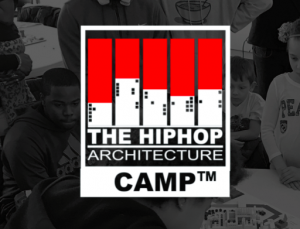 Camps are taking place in Los Angeles, Austin, Houston, Atlanta and Detroit in 2017. Find out more here at hiphoparchitecture.com.